The Queen Crown Resin Awards make great rewards for female beauty contests and prom queens. 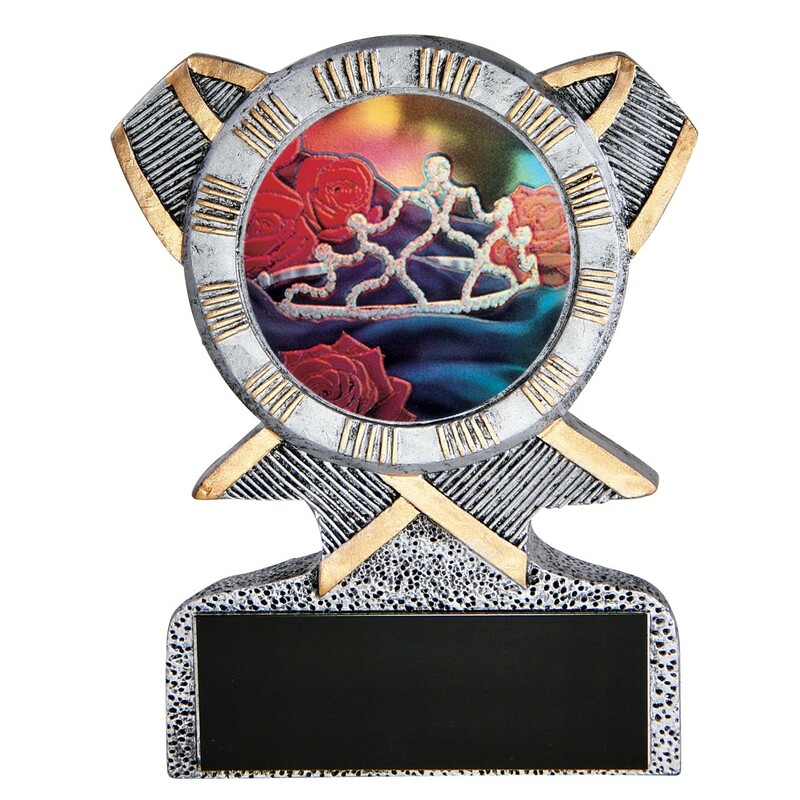 Made of resin, these 5 inch trophies feature a circular, pewter-finished cross-ribbon backrest with a holographic insert of a diamond tiara and red roses. They also make great fantasy football loser joke trophies. Full trophy height is 5 inches.